We are fast approaching the day when cars drive themselves and computers write code without the aid of a programmer. With the introduction of Artificial intelligence and Machine Learning techniques, machines are soon becoming so intelligent and smart that they won’t need human support anymore. When it comes to WordPress, Is it any wonder then that we are starting to see plugins that utilize AI and machine learning to excel at whatever task they were built for, from content curation, tech support, to SEO? Well, it’s happening now. What is Artificial Intelligence Anyway? John McCarthy, who is known as the father of AI defined it as “The science and engineering of making intelligent machines.” In simple terms, AI is creating an intelligent algorithm that can automatically perform the tasks that formally required constant human monitoring. Like any other field, AI has already found its place in WordPress too. There is a number of plugins built with Artificial intelligence already. In this article, we will take a look at some of the best AI based plugins in WordPress you can install now to take advantage of machine learning to improve your WordPress site. WordLift is a unique plugin that uses its knowledge graph to help you write better content with improved SEO. Like a content writer and editor, it adds trustworthy facts, images, and helpful links to your content using data harvested from around the web. As the content in your website grows, the plugin gets smarter and you get better content recommendations. 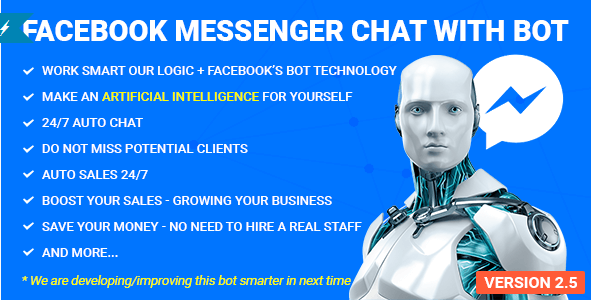 WP Chatbot is a WordPress Plugin that enables website owners to add Facebook Messenger on their website. It enables the site to send news and updates automatically to those who have subscribed to it with the help of Facebook Messenger. With the help of this plugin, you can easily connect with your customers through Messenger chat and you can also change the messenger theme color and do a lot more using this plugin. The plugin is available in both a free and paid version. You can download the free plugin from WordPress Directory here. My curator is a cloud-based and AI-driven content curation tool. MyCurator uses a Machine Learning Relevance engine to identifies the best content from around the web, leaving out the junk. Once My Curator gets sufficient information, it can automatically curate articles in your WordPress editor with excerpt, images, and attributions. It simply creates curated contents for any topic you select and gradually improves the result by learning from what you add or vote on. This is a security plugin that scans your website for malware, trojan, virus, spyware and anything that can harm your site. Quttera Scanner uses Artificial intelligence and cloud technology to do all of these tasks. The AI gives it the ability to not only identify known threats but also recognize yet unknown ones. However, this is just a scanning tool and cannot protect your website from getting affected. For complete security, you may need to follow other security measures. This is an amazing AI-powered virtual chat agent for WordPress websites. This plugin adds 24/7 live chat support with the help of an automated bot. First, you have to train your bot by providing answers to the most commonly asked questions. Their intelligent processors match questions with relevant keywords and give the answers to clients as you have provided. Live Chat is a machine learning chatbot that observes your communication with other clients and uses that to improve over time. If the bot does not recognize a question, it will transfer the conversation to a live agent. You can also manually switch to live support with just a click. Related post for WordPress aims at increasing user engagement by providing related contents on your site to viewers. The special thing about this plugin is its intelligent AI algorithms which can learn from user activities. As you add more posts, the recommended posts become more relevant and smarter. The plugin is free up to 500 posts. If you have a large collection of posts, then you need a monthly subscription plan that suits your need. Google language translator is one of the easiest ways to allow your users to translate your website contents into their native language without actually creating a multilingual WordPress site. The plugin uses the Google’s AI and machine learning translation engine to translate your website’s contents. You can add the Google Language translator to your website using sidebar widget or shortcode. After The Deadline is a language checker which is integrated into the JetPack plugin. 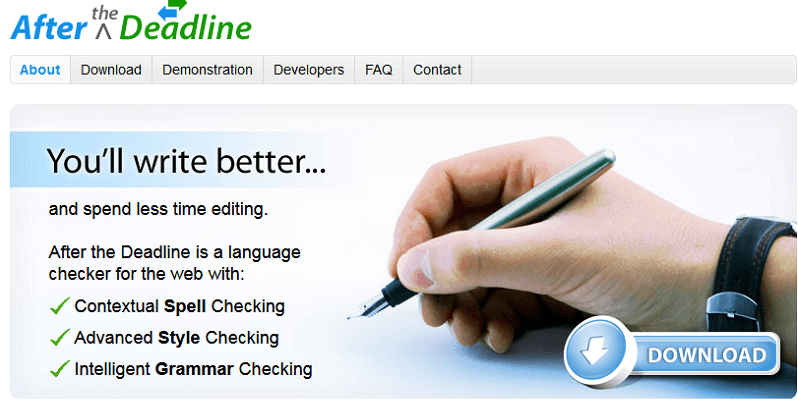 It checks grammar, spelling, and style of any content on your website. This smart technology uses the power of Artificial Intelligence and Natural Language Processing techniques. It can discover errors and provide smart suggestions. After the deadline is also available as a Google chrome addon if you don’t want to install Jetpack. Once installed and activated, the plugin works automatically from the WordPress editor. The spelling errors are shown in red, grammar mistakes are shown in green whereas the style suggestions are given using blue underlining. WP AI Assistant plugin lets you add a virtual assistant to your WordPress website. This smart virtual assistant can guide and advise your customers to help you sell more products. 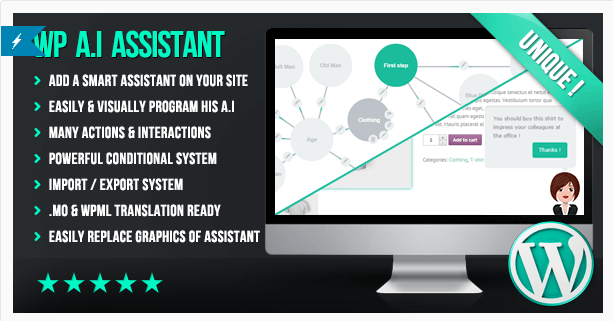 The training of your virtual assistant can be done using the smart visual tool and powerful conditional system. Some other duties this smart assistant can perform are showing different elements of your website to visitors on demand, redirect and send discussions to the admin. You can also send the data to a specific page which can be extremely helpful for filling forms based on users interaction. This is a premium plugin and costs $25 in CodeCanyon. This plugin uses Facebook’s bot API technology to create an intelligent bot which you can integrate into your WordPress website. This smart bot can automatically answer questions from your visitors and customers. 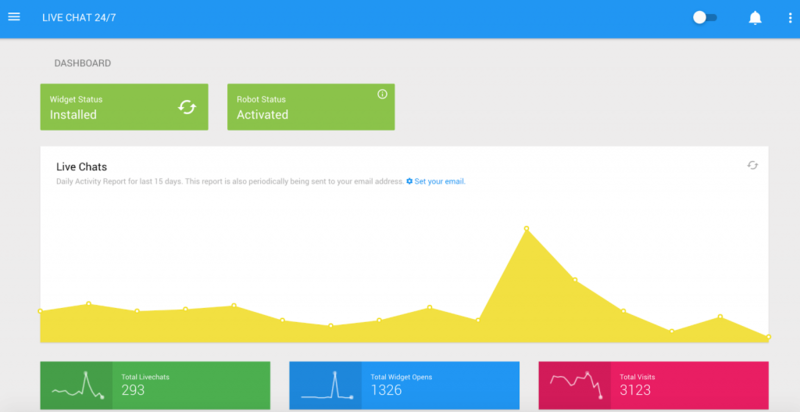 The bot helps you to grow your business by providing customer support 24/7. This is also a premium plugin and costs around $39 for the regular license. Watsonfinds is a relatively new AI driven plugin. The plugin predicts the emotion of your readers while reading your content. The plugin analyzer analyzes post, pages, product description and comments of your WordPress and gives insights into 5 different emotions. The objective of these insights is to encourage you to write better contents. There is a timeline to help you review and keep track of all your progress. Watsonfinds uses the IBM Watson technology to provide the power of Artificial intelligence in your content. Artificial Intelligence is a rapidly advancing technology that is quickly creeping into every aspect of our life. WordPress developers are using AI and machine learning tools to improve performance and provide innovations in their products. While AI is still a new concept, with most AI plugins mentioned here being experimental, WordPress plugins are only going to get bigger, smarter, and faster now that AI is here. Author Credits: This article was written by Jon Muller, an avid WordPress user and founder of Ergonomic Trends.